The humor sundry brand of Felissimo, “YOU ＋ MORE! 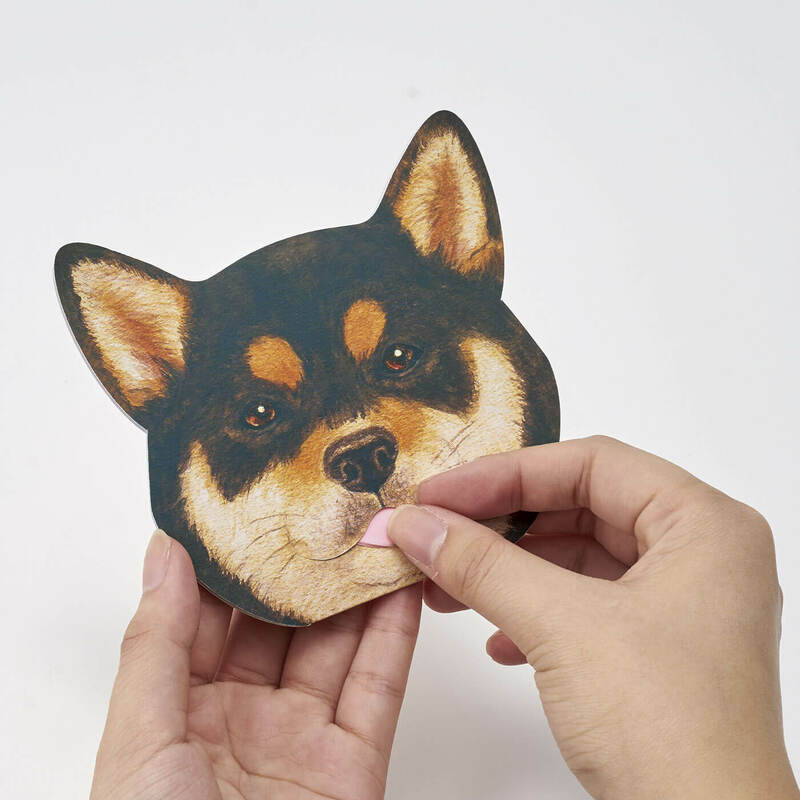 <Humor>” started selling “Shibainu no Kaopero Aburatorigami” from the 19th of February on their website. 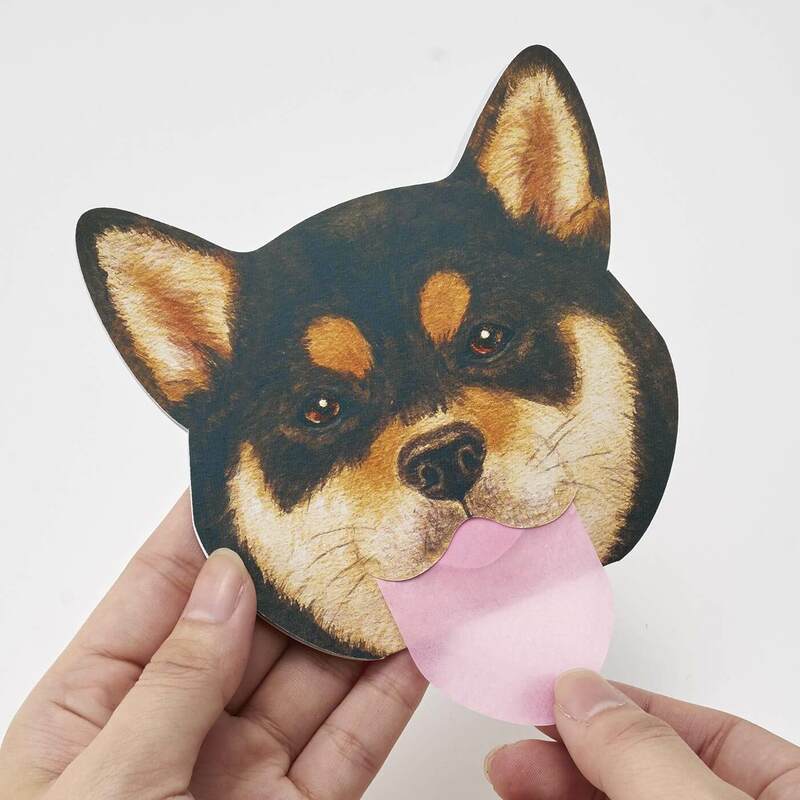 This product is an oil absorbent paper depicting the situation where a lovely shiba dog is licking the face of its master. The pink tongue is the part where you can use as an oil absorbent paper. 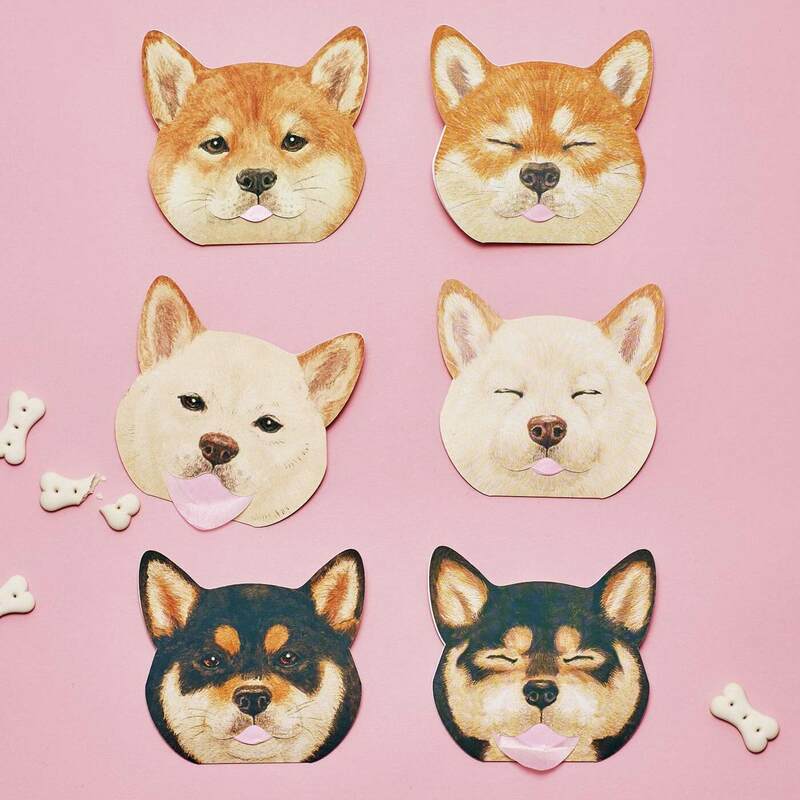 There are three kinds of designs available; “black shiba dog,” “brown shiba dog” and “white shiba dog.” The package includes two designs with different facial expressions. First, pinch the pink tongue softly and pull it out. 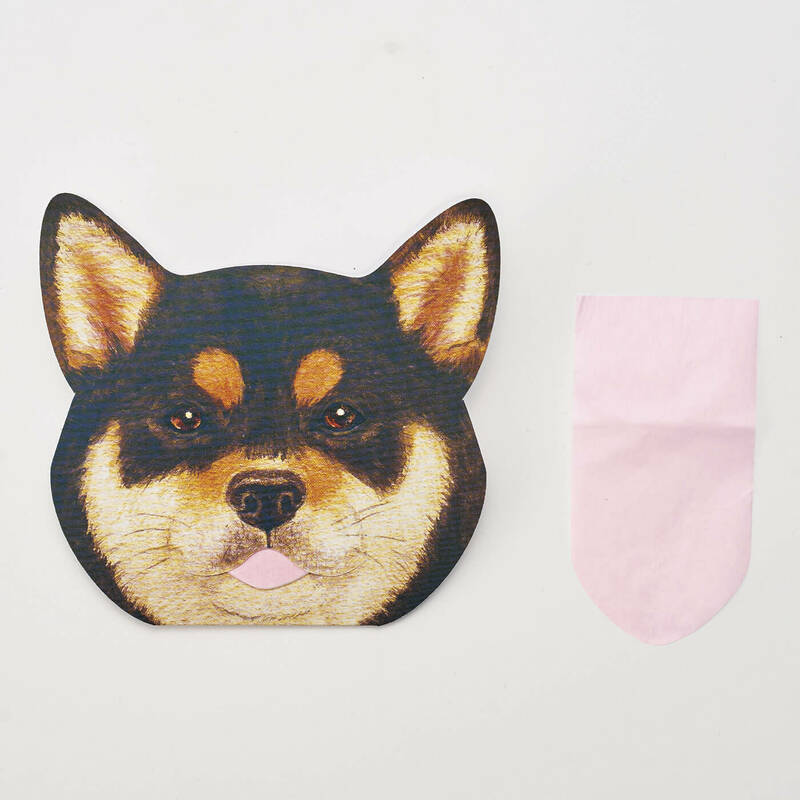 The oil absorbent paper is shaped like a dog’s tongue. It is a cute item which you can used to absorb the oil on your forehead and wings of your nose. It is recommended that you use the item with you friends since one package includes two varieties. 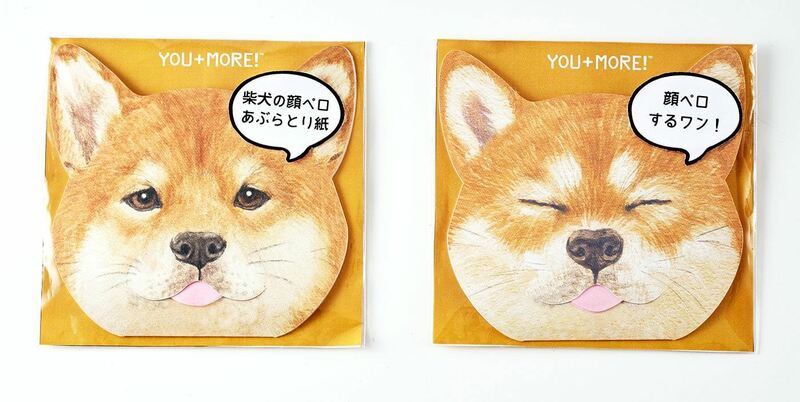 “YOU＋MORE!” also sells many kinds of “shiba dog” items. Let’s get their cute items!